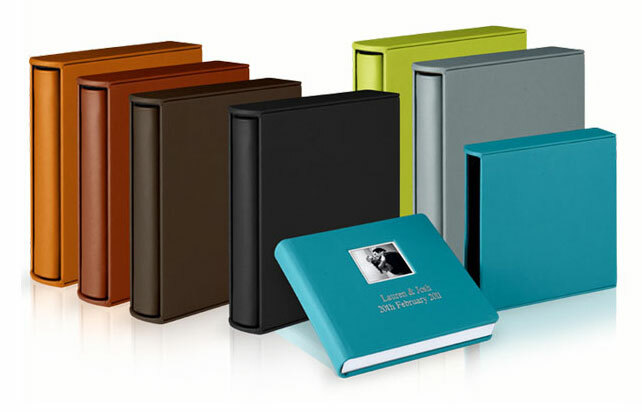 The colorful and bright Art Box, available in all the orientations and sizes from 8×12” up to 16×20” is ideal to accommodate customizations on the front, back and spine, thus conferring a modern and catchy look to the product. 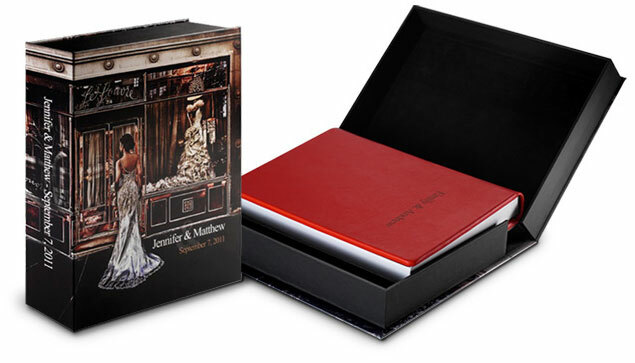 The exclusive opening system lifts the book and “offers” it to the reader, while revealing the DVD holder placed underneath: an additional and enriching touch of class. The refined and elegant Stylish Sleeve is an evolution of the idea of the sleeve: it is customizable by printing a text on the front, and it is available in all the orientations and sizes from 8×12” up to 16×20”. The white color that defines this product stresses the clean lines and the modern style, making it ideal for those clients looking for a minimal, yet elegant, way to be different. Pure and simple lines give access to endless opportunities of customisation. Composed of three different elements, each of them fully customisable with different materials and colors, this box is distinguished by a marked and modern style whose main feature is the internal insert, visible also when the box is closed. This is an element that shapes the design and harmonise each part the box itself. 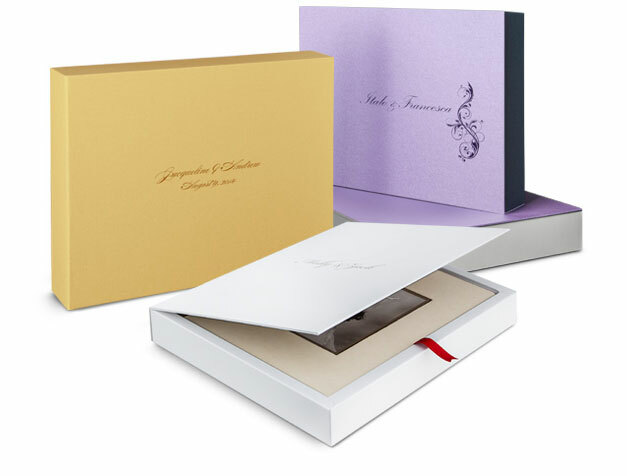 Different ennoblements are available thanks to overprinting techniques which make every Design Box unique and precious. It is available in every size from 8×12 to 16×20. An elegant box with a minimalist design, the Studio Box represents one of the most versatile items available in the Graphistudio range. 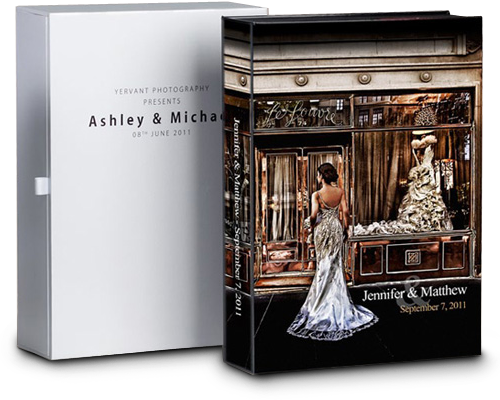 This product offers many different customisation options, as different materials and colours can be applied on the same box while additional overprinting and ennoblement techniques are optionally available to make it unique and precious. 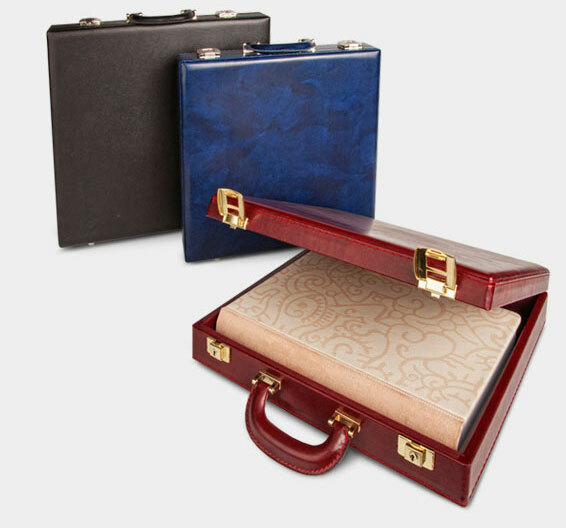 Practical and handy, our briefcase protects and at the same time, makes carrying the book easier and safer. It is produced in the same material and color tone of our black, blue or brown leatherette covers, thus guaranteeing elegant combinations. Graphistudio’s solution for the photographers that really care about their book presentation. 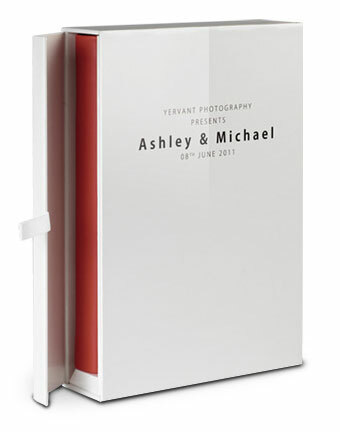 Available in the leather and leatherette collection, the coordinated sleeve adds a touch of elegance to the book, matching its cover and spine for a classic and timeless result. Available for 8×12” or bigger albums.